White Elements 42 Piece Dinnerware Sets Only $26.24! Down From Up To $117.00! Ships FREE! 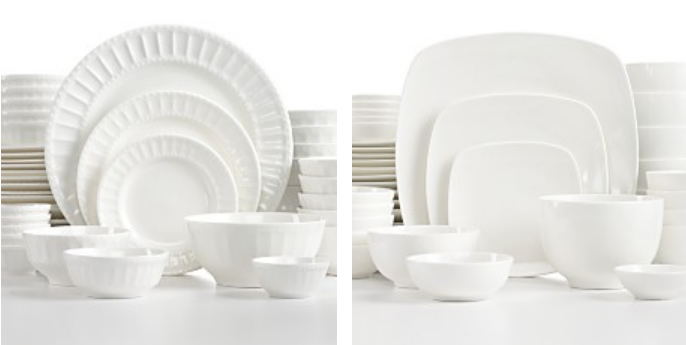 You are here: Home / Great Deals / White Elements 42 Piece Dinnerware Sets Only $26.24! Down From Up To $117.00! Ships FREE! Macy has these White Elements 42 Piece Dinnerware Sets on sale for $34.99 (Reg. up to $117.00) but you can get them for only $26.24 when you use promo code FRIEND (25% off + FREE shipping) at checkout!